The Dow Jones Industrial Average (DJIA), considered to be the measurement for the economy's health, is comprised of 30 prominent stocks traded in the NASDAQ and NY Stock Exchange. While those are considered the "blue chips," there are thousands of more stock options available to the market. With the advent of day trading and electronic transactions, millions of dollars can be gained or lost in just a day. Sometimes fundamentals get thrown out as momentum and the "machines" temporarily take over. Investing in the Dow may be the idea of an investment safe-haven to some. However the reality is that stocks, in general, yield a complexity far greater than just overcoming market averages. With such an overabundance of companies to choose from, and with each stock potentially yielding positive results or catastrophic plummets, a “sure thing” is really hard to come across, and in some instances even harder to afford. As observed from the graph above, over the past 10 years there have been a plethora of oscillations resulting in investor insecurities and speculations. 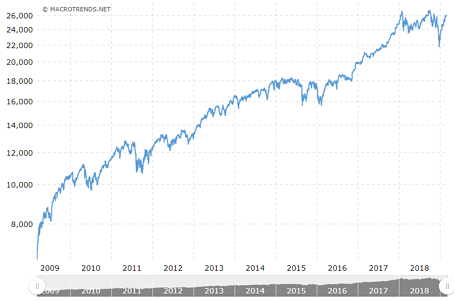 At first glance, the DJIA may seem to be in a reasonably healthy state, especially when illustrating such a significant increase in market value since 2009. In actuality though, it is still trying to recover from 2008’s devastating financial crisis. 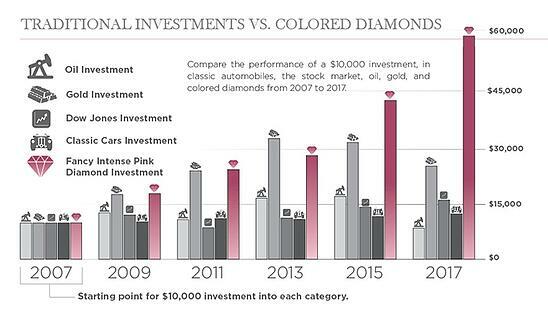 This (coupled with the fear of volatility) is perhaps why numerous investors have started to divert their attention toward tangible assets such as natural colored diamond as investments. 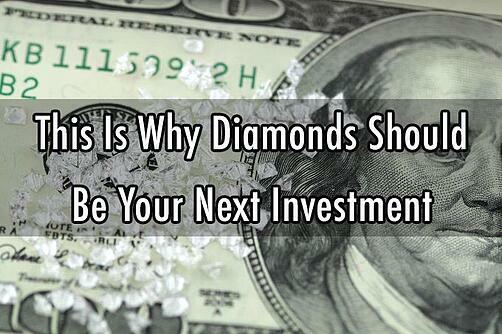 When thinking of tangible investments, the first thing that comes to mind is gold. It should be noted however, that the value of gold is very closely correlated (and therefore influenced) by market fluctuations. During the period right after the financial crisis struck, the value of gold increased exponentially as investors sought assets of greater security. Since 2011, as the stock market slowly recovered, the price of gold saw a steady decline. Such rapid fluctuations coupled with the speculation that gold fails to yield compounding returns may generate a sense of insecurity. Oil has been the single most talked about commodity for the past few decades, with a value directly affecting every social class from blue to white collar. While we all may like to see oil prices drop at our local gas station, the same cannot be said for investors. 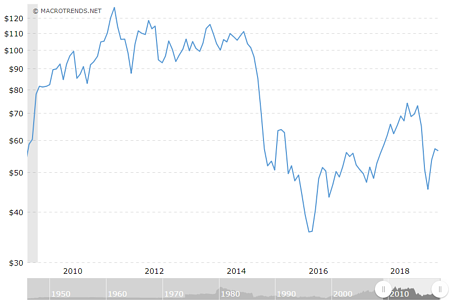 Once known as “liquid gold”, oil prices have seen a significant drop, with values at the beginning of 2017 resembling those of 2008. This could largely be true due to the global mindset beginning to shift toward more sustainable alternatives. It should be noted however that some analysts believe oil prices will rebound, but very few seem to suggest that now is the time to invest in this commodity. 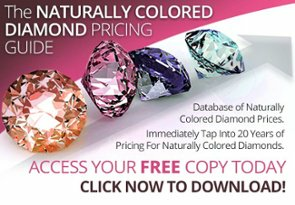 One specific category of a tangible asset that has been steadily gaining attention is that of diamonds, and more specifically natural or Naturally Colored Diamonds. The value of these stones is in part hidden in their rare and unique hues like pink, blue, green, orange, purple, and especially red. Such stones hold immense rarity, only comprising approximately 1% of all diamonds mined globally, and unless new mines are discovered, their supply is expected to diminish greatly in the next 30 years. This is further validated by major contributors, such as the Argyle mine, ceasing operations in the near future. This will not only increase rarity (and even make certain diamonds such as the Argyle Pink diamonds finite), it will also exponentially increase their value. Such drops in supply, coupled with the heightened demand for these diamonds in the past decade, as well as, expected price surges calls for immediate action by anyone interested in investing in these precious stones.